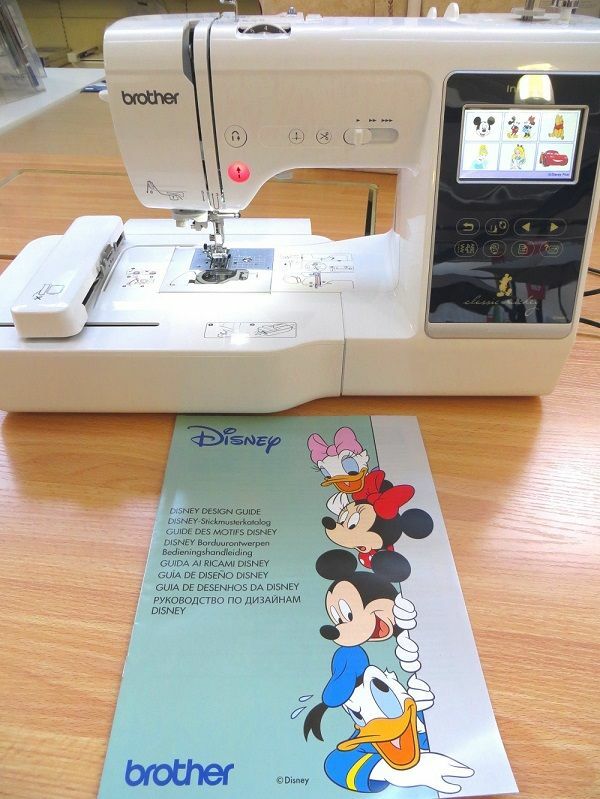 This fabulous new machine has a full colour screen where you can edit and combine your embroideries to create beautiful personalised garments, craft items, home decor and more. Quickly converts into a serious sewing machine that's also pretty compact - all for only £899 !!!!!! 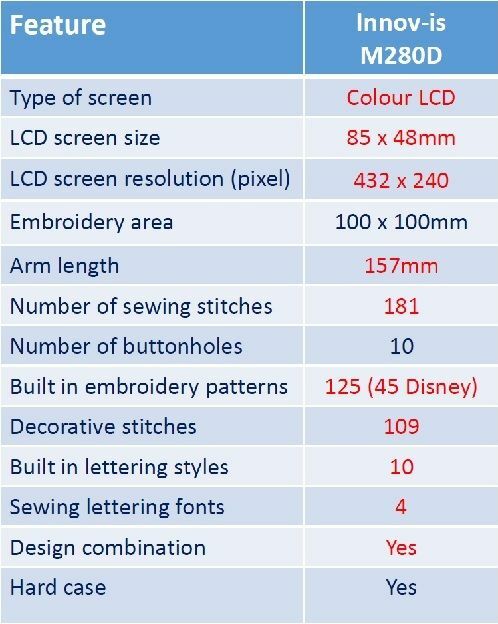 There are 125 embroidery designs in the machine which include 45 favourite Disney characters. 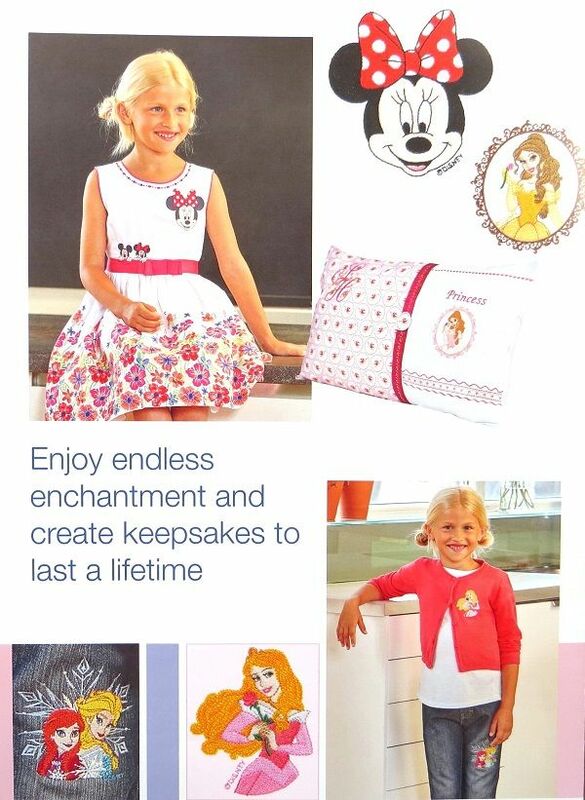 Combine and add text with the built-in fonts for effortless personalisation. 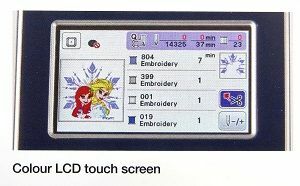 An embroidery and sewing model by Brother is the easiest of any machine of its type to use. Reliable and fun too. 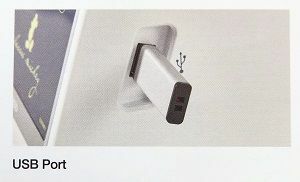 The instruction book and design guide booklets clearly guide you through using the machine. 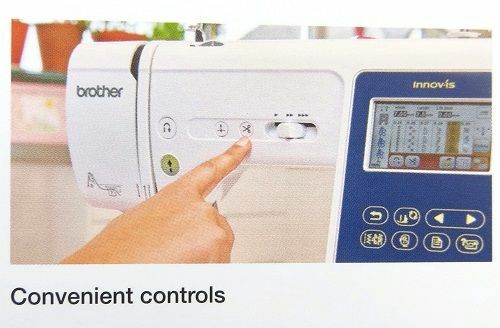 You have full control over speed, thread trimming, auto needle threading and quick drop-in bobbin systems. 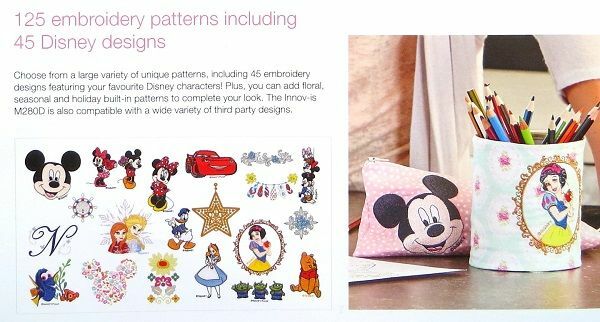 If you like to sew as well as embroider then you'll love the choice of utility and decorative stitches on offer.